Manley will have a lot on his do-list -- from electrifying the manufacturer's lineup to boosting luxury brands Alfa Romeo and Maserati, to raising the profile of Jeep in China. MILAN -- Mike Manley’s first week as CEO of Fiat Chrysler Automobiles is shaping up to be a big one. 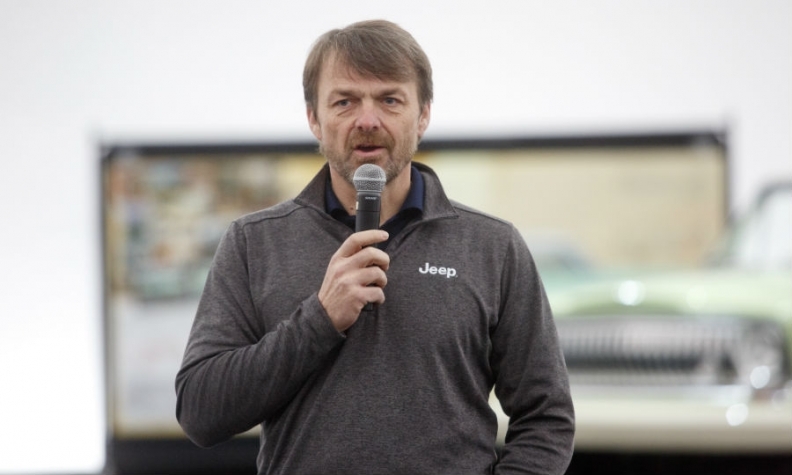 Manley, the head of the company’s Jeep and Ram division, was thrust into the spotlight on Saturday when he was named CEO to replace Sergio Marchionne, 66, whose health declined suddenly and unexpectedly after shoulder surgery. Italian news agency Ansa said Marchionne's condition is "irreversible." He is in intensive care in a Zurich hospital following complications from shoulder surgery. Manley has just days to prepare for the automaker's quarterly results presentation on Wednesday, an event investors will use to size up the new CEO and assess his plan to fill Marchionne’s shoes. "People are going to wonder -- the products are there, the decisions have been made, but who’s going to be driving the strategic options?" said Brian Johnson, an analyst at Barclays. If there are deals to be made for Magneti Marelli, the parts unit set to be spun off to shareholders, for example, "Who's on point for that?" Manley, 54, will meet with Fiat Chrysler’s top managers in Turin, Italy, on Monday for a group executive council meeting, according to people familiar with the matter. The meeting was already scheduled but takes on added significance since it will mark the beginning of his era, said the people, who asked not to be named discussing private information. Fiat Chrysler said British-born Manley would pursue the strategy that Marchionne outlined on June 1 to keep the world's seventh-largest automaker competitive in the absence of a merger. The automaker has pledged to increase production of SUVs and invest in electric and hybrid cars to double operating profit by 2022. It also unveiled bold targets for Jeep, which has become FCA's ticket to creating a high-margin brand with global appeal. Analysts said that choosing Manley, under whose watch Jeep's sales surged fourfold, sent a clear message that FCA was staying on course and would keep the Jeep brand at the heart of its growth plan. "Manley knows that his primary focus is on execution and that, already, he has a strategy into which his team has bought," said George Galliers, an analyst at Evercore ISI. "There is no reason the 2022 plan cannot be executed." Under Manley, the company is expected to sharpen its focus on revamping individual brands, including ailing Fiat in Europe, Chrysler in the United States and Alfa Romeo, which has yet to turn a profit despite multibillion-euro investments. FCA's profitability in Europe is only gradually recovering. The company has yet to make significant inroads in China and it relies on North America for three-fourths of profits just as that market is expected to come off its peaks. Manley has been head of Fiat Chrysler's Jeep brand since 2009, the linchpin in the company’s plan to double profit in the next five years. Already, the Jeep and Ram vehicles he oversaw were responsible for 67 percent of total U.S. volume in 2017, according to Bloomberg Intelligence. Analysts estimate that Jeep alone could be worth the entire market value of Fiat Chrysler. Marchionne had been set to retire in April 2019. His unexpected illness accelerated the timeline for a decision on succession that was already seen as a crossroads for the company. 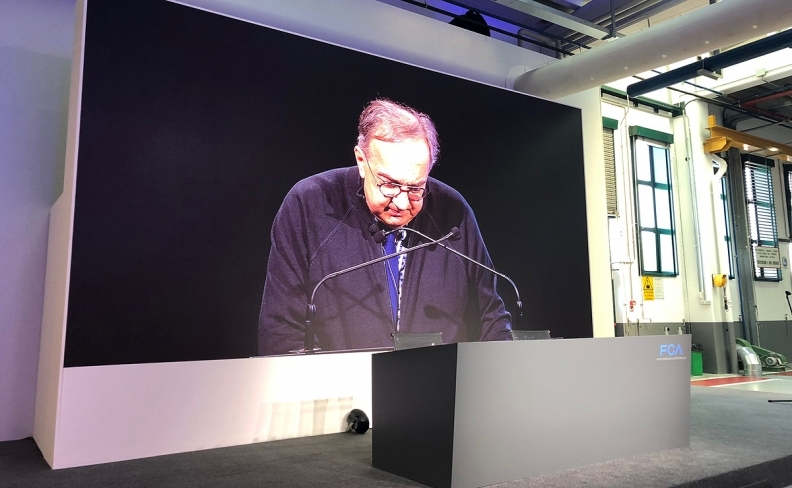 Marchionne presenting FCA's latest business plan June 1. Manley also faces the test of meeting rigorous fuel-economy standards in Europe and China, along with managing through political uncertainty in Italy, and trade fears in the NAFTA zone and between the U.S. and European Union -- both important areas for Fiat Chrysler. “The other talent Marchionne brought was political deftness, and who’s going to handle that?” Barclays’ Johnson said. At FCA's April general meeting, John Elkann, company chairman, and Marchionne both said that Fiat Chrysler is now strong enough to survive on its own and doesn’t need a partner. FCA reiterated this view on Saturday, saying Manley and his team will implement the business plan presented on June 1 to assure the company's "strong and independent" future. Elkann, 42, grandson of former Fiat boss Gianni Agnelli, sent a letter to employees over the weekend, praising Marchionne’s leadership but also crediting Manley with "demonstrating determination in achieving his vision" to grow Jeep. Fiat Chrysler spinoffs also replaced Marchionne over the weekend. CNH Industrial, the maker of Iveco trucks and Case and New Holland farm equipment, named as its chairman Suzanne Heywood, managing director of Exor, the holding company of Fiat’s founding Agnelli family. It reports results on Thursday. Ferrari, which appointed Philip Morris International veteran Louis Camilleri as its CEO, makes its quarterly presentation on Aug. 1. FCA began trading on Monday for the first time since it became clear Marchionne, who increased shareholder value 10-fold during his 14-year tenure, would be unable to return to work following shoulder surgery. Shares fell 4 percent to 15.77 euros at 9:02 a.m. in Milan, giving the company a market value of about $30 billion. Ferrari, which was spun off from FCA during Marchionne's tenure, dropped 2.4 percent. CNH Industrial declined 2.9 percent, while Exor, the holding company of Fiat's founding Agnelli family, was down 4 percent.